Contains: Two (370 mL) cartridges ONLY. 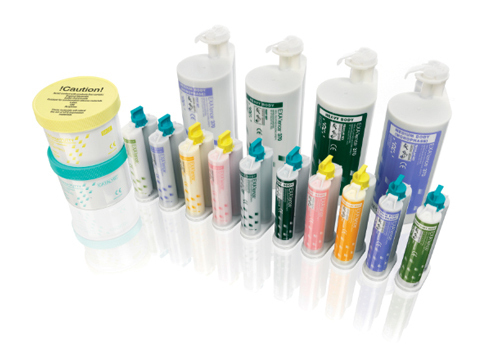 EXA'lence is the new generation of Vinyl Polyether Silicone (VPES) Impression Material. EXA'lence is intrinsically hydrophilic with optimal flow and high tear strength, resulting in a predictable performance under any clinical environment. EXA'lence will satisfy dentists, technicians and patients with easy handling, maximized comfort while providing EXA'lent results. GC America is one of the premier dental companies in the world with an excellent reputation for advancing the art and science of dentistry. GC America is proud to introduce this new "breakthrough technology" category of Impression Material.